I hope you all had a fantastic summer and enjoyed reading the abundance of adventure packed CASI student blogs! 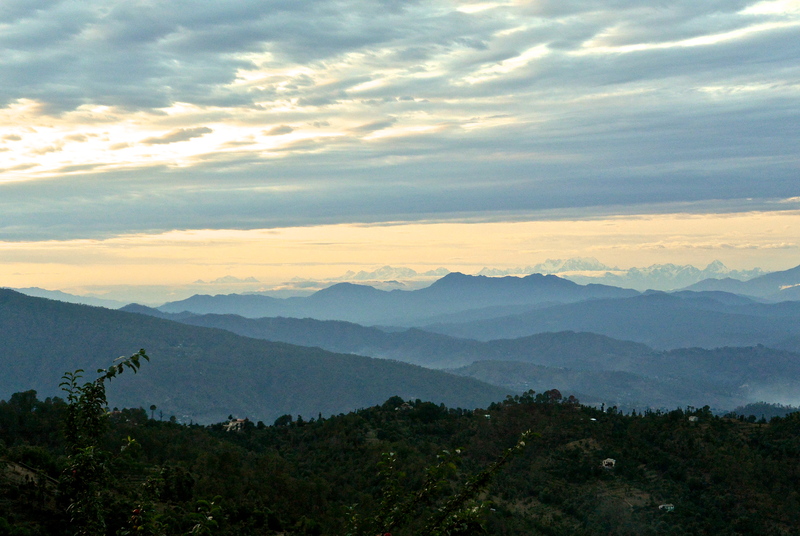 When I do have a chance to reflect I often ask myself, “did I really go to India this summer,” or was it just a dream? Did I really wear kurtas and salwars, as well as eat food with only my right for two and a half months? The experience seems almost mythical. If this is my first blog post you are reading I’m sure you are wondering what I am talking about! 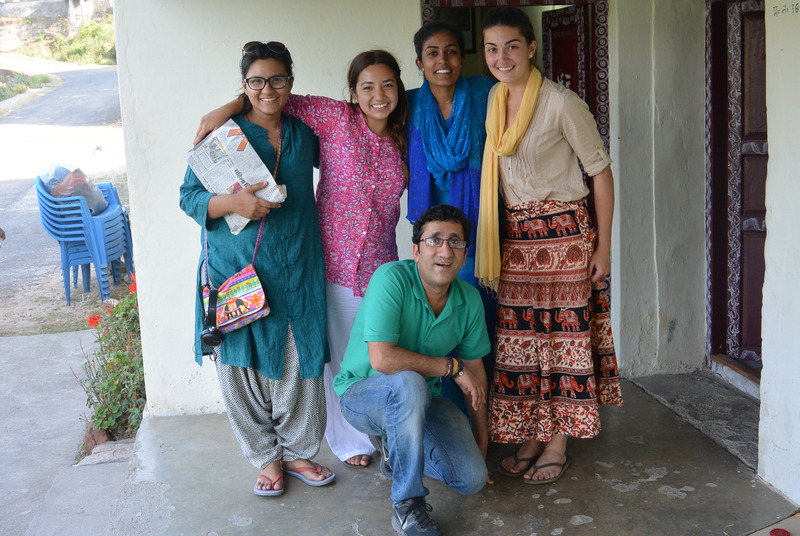 I was working with three other Penn students at an NGO called the Central Himalayan Rural Action Group (CHIRAG) in the Kumaon Region of Uttarakhand, India for ten weeks this summer. This is a view of Kasiyalekh from my first homestay. I focused in two areas during my stay with CHIRAG, working closely with a for-profit store called Kumaun Grameen Udyog (KGU), which sells goods made by local women villagers. All profits made by the business are reinvested back into various CHIRAG efforts ranging from their regional hospital to their local schools. The store sells beautifully hand woven garments, shawls, stoles, and scarves created by a local weaving center; toys, hats, gloves, and tea cozies made by local knitting groups; and chutneys, spreads, apricot oil, and apricot scrub made from local fruit cooperatives. I worked on various projects for KGU, but the main projects involved computerizing KGU’s inventory and sales system, which was at the time done completely by hand; creating and running a financial breakeven analysis on a potential café they were looking to install in one of the local shops, revamping the text, design, and layout of their website, and R&D on potential products and locations to sell goods. I had an unbelievable experience working with KGU, it caused me to view business in a completely new way than I had been approaching it my first two years at Wharton. My freshman and sophomore years I think of myself as going through the motions and trying to get by in core classes such as finance and accounting without actually understanding why the content I was learning was important to my future. This internship made me realize the information I learn in college is extremely useful and applicable to real life! Paying attention in Finance 100 and Accounting 101 will work wonders down the road! The skills learned in those classes will forever be helpful for various internship opportunities, for me they were helpful this summer when I was asked to consult various financial opportunities, and to help develop a sales/inventory system for KGU. Me with the some other CHIRAG interns, and my KGU boss Anurag! The second part of my internship was life changing on a more personal level. I was able to conduct my own research and give a presentation at the end of my stay to CHIRAG officials in which I gave feedback and suggestions from my observations. I developed a survey focusing on the sustainability of Self Help Groups (SHGs), and women’s empowerment through SHGs, which I administered through the help of an amazing Chirag employee, Lata ji, who became like a mother to me while I was in India. I conducted 5 group interviews with SHGs in the Kumaon Region, and 7 individual interviews with 6 Killaur residents (including the Gram Pradan) and 1 with the Treasurer of Mahila Jagrati, Buribana SHG. 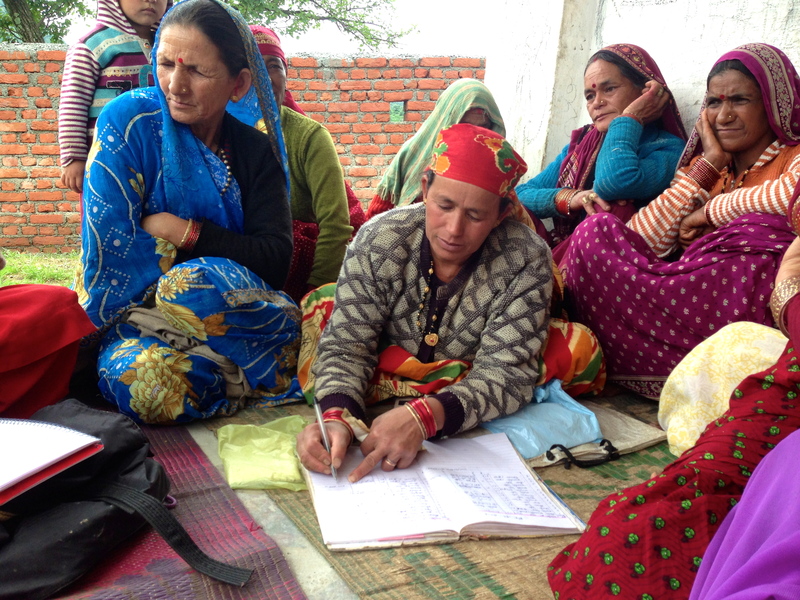 A SHG meeting in Buribana, Mahila Jagrati is pictured here recording the payments of various members. If there is anything I will take away from my experience in India it is the Self Help Group meetings I attended during my stay. I had read about women villagers pooling their money together to allow for one another to buy goods they would not have otherwise been able to afford, but I never thought I would witness this event in the flesh. In addition, the stories they would tell me about their daily lives were almost unfathomable to me. 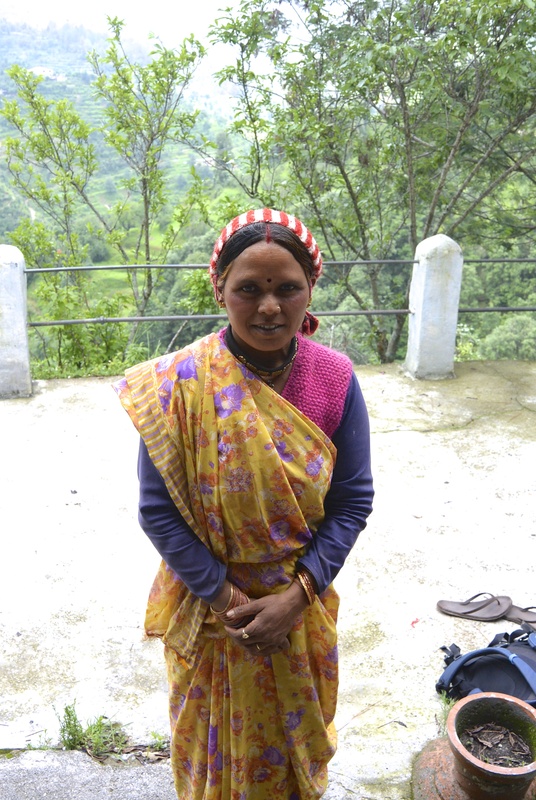 The women of the Kumaon region are true heroines. They wake up at 4:30am, collect fodder for their animals, milk their cows, get the children ready for school, go down to the road to pump water for the family all before they make breakfast often for a family composed of ten or more inhabitants! One of the most memorable stories for me was when the government was looking to build a liquor store in a village and the local women were able to put a stop to the construction by collaborating creating a scene. They went to the site and protested as well as spoke with the government official. Due to their protests they were able to keep a bad omen away from their village. To begin to see the depth of the impact of this story you must understand that twenty five years ago women were not even allowed out of the property, sometimes the house in India. Women were not even allowed to answer the door, but had to get a man to speak to whomever was present. Some parts of India have come a long way since then and this is only one of the multitude of stories I heard about women’s empowerment. I apologize for the lengthiness of my last blog post, but I could continue to write on and on about my experiences in India. While in India I was living in the moment, going day by day trying to appreciate every second of the unbelievable opportunity I had, but to throw a cliché saying out there, “you don’t know what you have until it is gone,” the weather, the amazing people and colleagues, and the internship I had was truly remarkable. I am really glad I chose to participate in the CASI program and I would highly recommend it to any Penn student who is reading this blog post and the slightest bit interested! It has been a great summer and I look forward to staying involved with CASI! The view from one of my daily hikes at sunset.